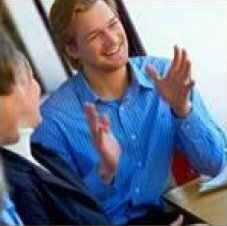 Sevier County, Tennessee, and Sevierville, Tennessee have been the location choice for several of this firm’s Clients. There are ample mountain ridge lines that afford views to the valleys far below. The climate is relatively temperate. There are many opportunities for entertainment, including theme parks like Dollywood and American historical sites nearby like Cade’s Cove and and the Great Smoky Mountains National Park. 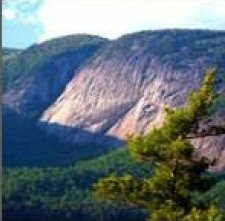 They are called “smoky” due to the condensing mists that develop nearly daily on the forested slopes of the mountains, which affords a scenic vista from people’s residences and just about anywhere in these mountain communities. 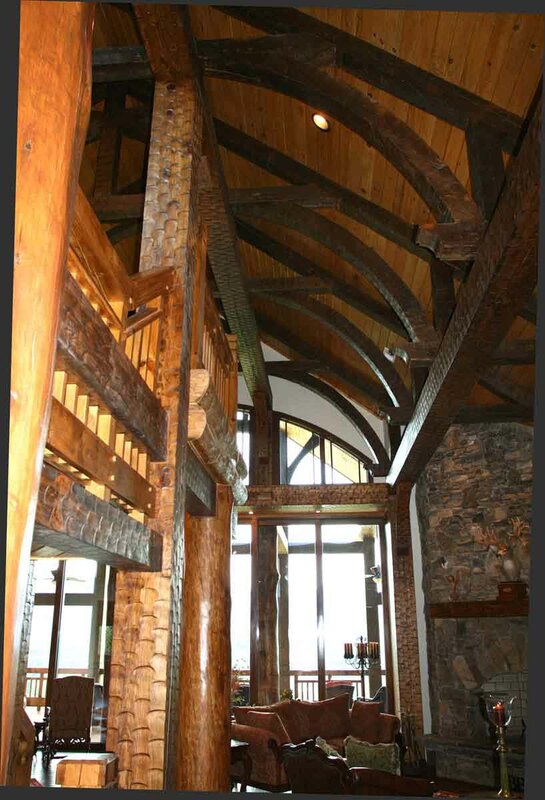 Incredible log and timber frame design work from Rand Soellner in this view into the Hearth Room from the Grand Foyer. (C) Copyright 2010 Rand Soellner, All Rights Reserved Worldwide. This architectural firm is considered mansion architects on this one. Just above, you can see the firms’ special timber frame hammer trusses, soaring over the Hearth Room below. They merge these massive trusses with front-to rear seismic and wind beams to laterally reinforce their houses. In the next photo, you can see part of the interior timber stairway, which is open to the foyer and main living areas. Amazing: largest sliding glass doors in the world in Soellner projects! Note the 5′-6″ tall person at the center of the doors. Do you want large glass areas in your house? 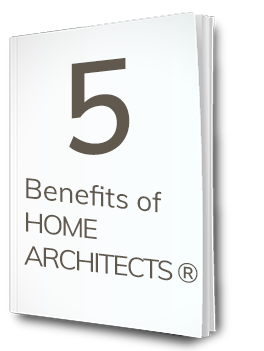 HOME ARCHITECTS can make it happen for you. 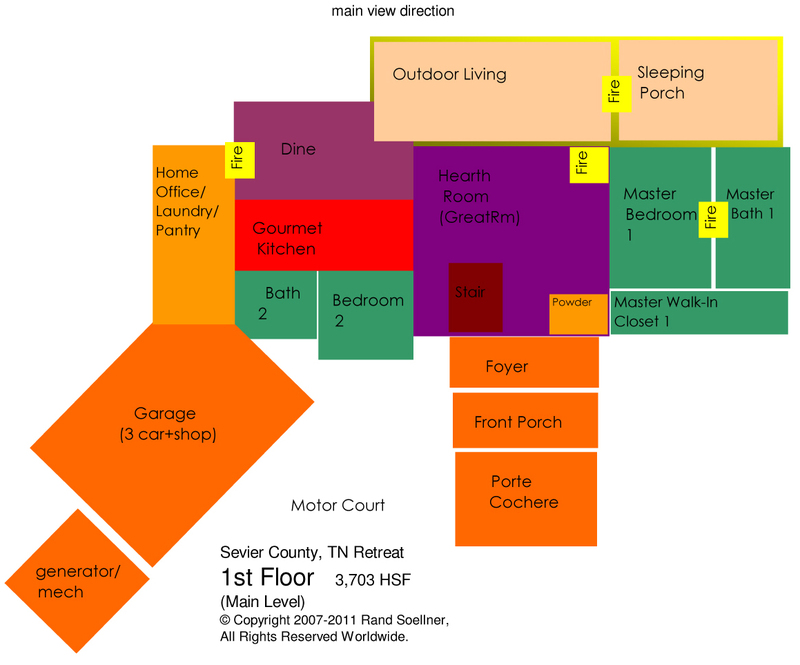 (C) Copyright 2010-14 Home Architect, PLLC, All Rights Reserved Worldwide. 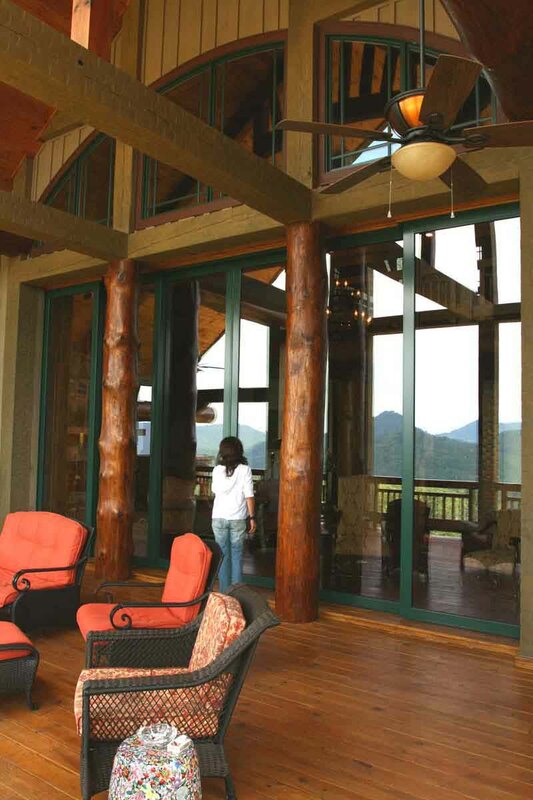 And here are the firm’s trademarked Grand Canyon-Dor rear sliding doors. 12′ tall x 22′ wide and with a pocket to tuck them completely out of sight when you decide to open them all the way. That means that the line between your interior Hearth Room and exterior Outdoor Living Room is nearly completely erased, doubling your living space and merging it with the great outdoors. As an architect of log homes, and timber frames, Soellner knows how to create custom arrangements like this for your special dream house. Rustically elegant Country Gourmet Family View Kitchen. Open plan allows you to enjoy your family and friends and the view from your large kitchen. (C) Copyright 2010 Rand Soellner, All Rights Reserved Worldwide. And here is the completed Gourmet Country Kitchen. The owner picked the shade and pattern of granite that helped them realize their dreams for this remarkable food preparation space in this outstanding Great Mountain Retreat. 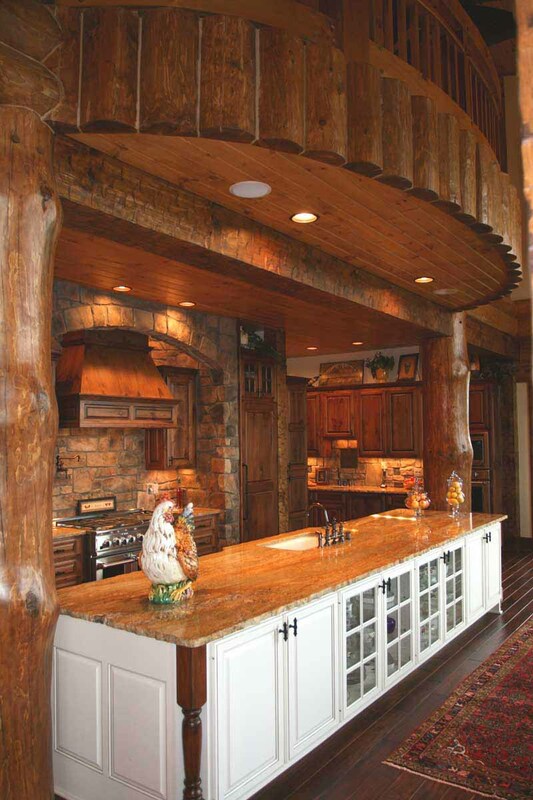 Many of this firm’s typical log posts are 36″ in diameter on this spectacular house design. 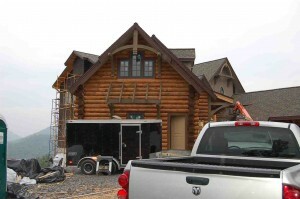 This new log home is about 5,700 heated square feet. Lots of stone, as you can see. The clients originally wanted a log house and then there was some discussion about budgeting and the firm was able to give them a log look for pennies on the dollar, using “log siding” from a specialty supplier. This results in a much tighter, more energy efficient house, for less cost and without the maintenance issues of true log construction (less structural shrinkage, no jacks, no special lintels over windows, etc.). Rand Soellner’s craftsman detailing of stone, timbers and logs make this house a delight. (C) Copyright 2010 Rand Soellner, All Rights Reserved Worldwide. 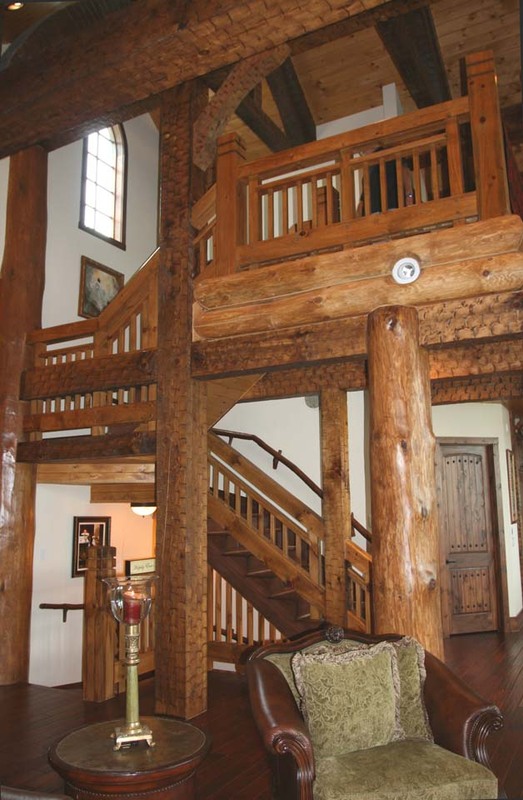 Exquisite stone and timber and log details make this house a piece of rustic art. Photo courtesy Wills Builders. Up high in the Hearth Room, a view of the giant timber trusses and archwork. Note special timber splice joinery. 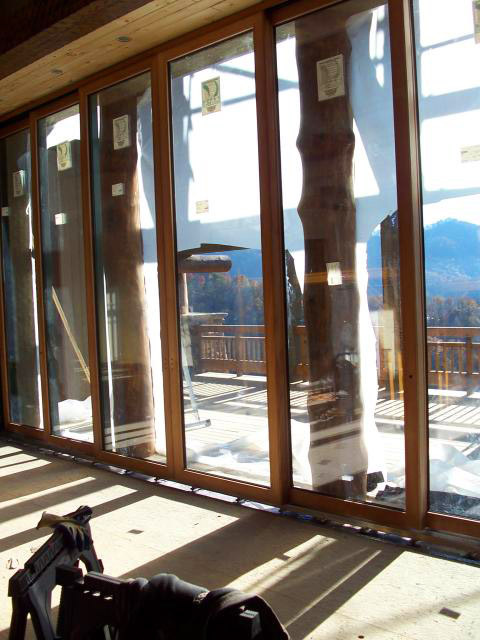 The clients are committed to a true mountain style, which is why they came to HOME ARCHITECTS ® in the first place. 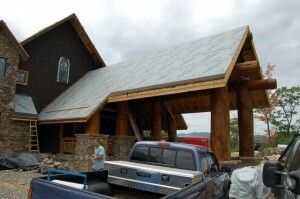 The company is a specialist as a log homes architect. Wills Builders, Inc. built this one. Rand Soellner (Senior Staff Architect) likes their work, because they read every word of his drawings, details, and specifications. That is important when you are working with this type of detail. Wills has used several Old World Craftsmen on this one, including a Hungarian finish carpenter on the mountain style railings, which use timber and some log. Here you can get a better view of the dramatic timber trusswork in this true mountain house. 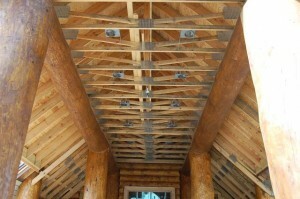 Rand Soellner acted in the role of a log homes architect, personally drawing every stick of wood on these trusses and Wills Builders had one of the leading log house manufacturing companies in the United States fabricate and deliver them. A special machined distressing was used to give that handcrafted look. The Architect even located each peg on each connection, to maximize his own special enhancement of the mountain style design features in this mountain dream house. Incredible features in Soellner’s Hearth Rooms, with open planning on a scale never seen before. (C) Copyright 2010 Rand Soellner, All Rights Reserved Worldwide. The Architect’s unique Hearth Rooms have spectacular features like these: the Grand Canyon-Dor, outstanding views, high ceilings, massive fireplaces, warm wide plank wood floors, wood ceilings, and well thought out furniture arrangements and lighting. This home is a hybrid post & beam system, also using conventional stud walls (however, they were prefabricated and delivered to the job site). Front of home, still in the process of having additional landscaping to be added. The front of the house features a drive-through porte-cochere, which about half of the Architect’s clients request. 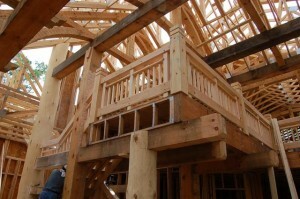 Timber Frame Stair. (C)Copyright 2010 Rand Soellner, All Rights Reserved Worldwide. The house features timber framed stairways with wide-plank flooring and special tread lighting. Rand Soellner’s trademark Grand Canyon Dor. This door is 12′ tall x 22′ wide. It pockets completely when open so that you cannot see the doors. The interior and exterior space merge completely. 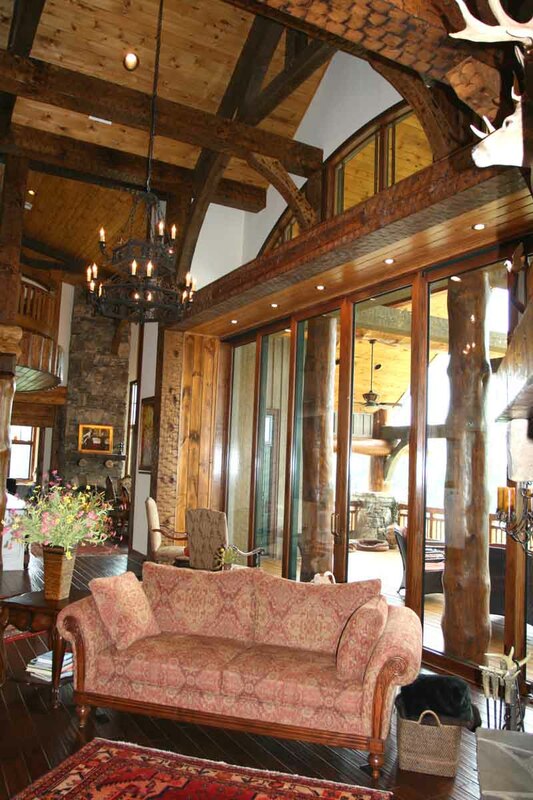 This is world-class luxury home design by a log homes architect. Below, you can see the Architect’s Grand Canyon Dor being installed. This is one of the largest residential sliding pocket doors in the world. It is 12′ tall x 22′ wide and entirely pockets on the left and right sides. This allows homeowners to have their interior Hearth Room space merge virtually seamlessly with the Outdoor Living Room and Summer Kitchen, all trademark features of this log architect. These doors are twice the height of a tall man (12′). Each door is 4′ wide and there are 6 overlapping panels. Photo courtesy Wills Builders. Closeup of window seat stone tower off of entry side of home and garage to left. Many post and beam architectural elements where used, such as the pedestals and timber posts to the left at garage entry. On the entry side of the house, there are some tall stone towers echoing the beauty of the surrounding mountains. 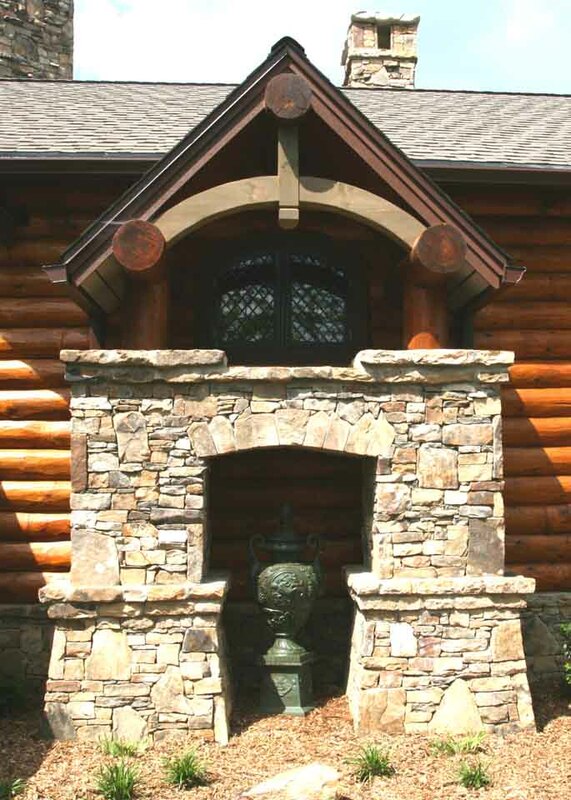 The rockwork is a nice contrast with the log siding, which is indistinguishable from genuine stacked log. Note curved bracing under the bracketry at the garage door openings. Photo courtesy Wills Builders. Dormers allow controlled, natural light into upper story spaces over garage. Log homes architect effort can be seen starting to take shape with the stone pedestals and timber posts and bracing and bracketry. Above, you can see some of the Family Room roof dormers over the Garage. Log architect Rand Soellner uses a special economical space-saving attic truss over garages, yielding space above that is usable for less than building it normally costs. 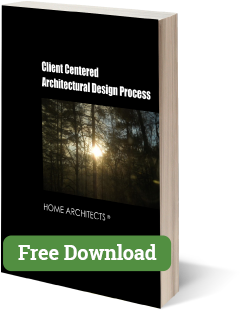 This is just one of the Value Engineering approaches on this Architect’s projects, which is taken to a fine art in the Mountain Retreat Series. photo courtesy Wills Builders. Rand Soellner Architect’s spacious Outdoor Living Rooms capture the essence of why you buy mountain home sites: The View! Special wind bracing on every Rand Soellner Architect home stablizes the structure. Post and beam architects and timber frame architects work obvious in the large timber members here. Here, you can start getting a feel for the views from the Hearth Room into the Outdoor Living Room, a standard feature on the not-so standard Mountain Retreat houses of this Architect, illustrating the timber frame and log architect’s talents. The doors here completely retract, exposing an opening 12′ tall x 22′ wide. This is one of the largest doors openings in residential architecture in the World and can typically only be found on this Architect’s projects, their trademark: Grand Canyon-Dor. 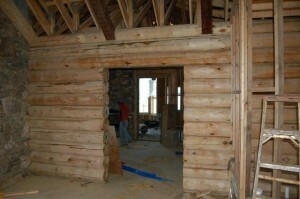 This is the first installment of photos on this log home. This has been a while in coming; this represents the new flagship of design features in HOME ARCHITECTS ® latest mountain house designs. It has taken years to fine-tune the features being used here, some a first in fine luxury residential architecture, raising the bar for other luxury house designs in the World. photo courtesy Will Builders. This home will enjoy a stately mountain porte-cochere, which allows vehicles to pass through under cover. Huge timber posts, beams and rock pedestals frame this impressive luxury home entrance. Whether your luxury house design project is in Gig Harbor, Lake Tahoe, Austin, Denver, Highlands, Qatar, Nashville or Deep Creek, this Architect’s luxury designs will delight house owners and enhance these special environments. 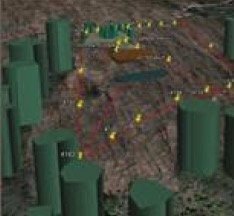 Green Design is their middle name, with such cutting edge features as CFL & LED lighting options to reduce lighting energy consumption by nearly 6 times less than normal lighting, and insulation levels more than 40% higher in critical locations. These are Green architects creating green house designs for a discerning clientele who want quality architecture. 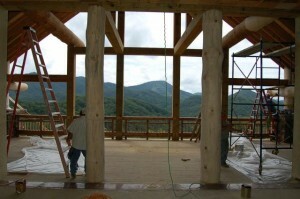 If you want a green log home architect, that is one of the firm’s specialties. 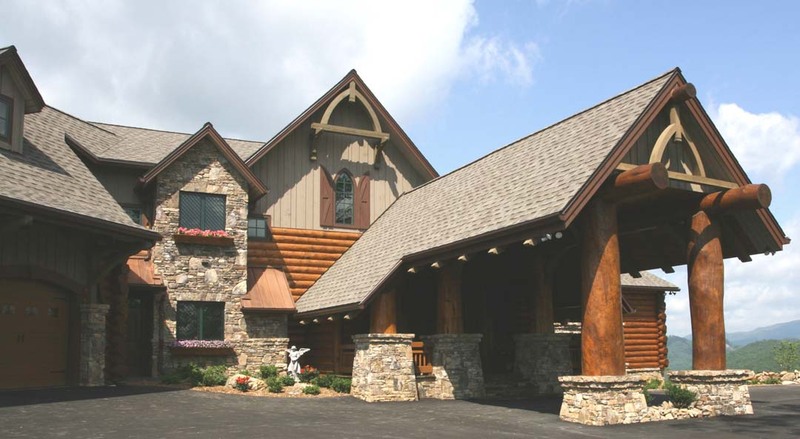 Some of the firms clients enjoy a Porte-Cochere in front of their log house, in addition to their garage, to provide a convenient and stately covered entrance for guests arriving in their vehicles, especially during rain or snow, which can be often in mountainous regions. This feature also allows control of glass areas, providing lots of shade. This is also an excellent paved outdoor covered area for special family events. With these more recent photos, you can see the continued development of the log siding installation and staining, which is indistinguishable from load bearing full-thick structural log houses. 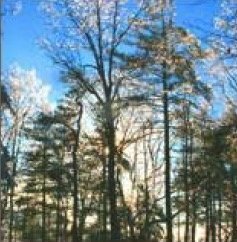 The advantages of this hybrid approach are significant: less expensive construction cost, no structural settling, cheaper foundations, no tricky header conditions over doors and windows, no concerns about drying and splitting logs creating see-through cracks into your home, much tighter wall insulation, faster installation and more. The architect specified real interlaced round log corners as an owner option on this house and it looks great! This approach also allows a much simpler upper wall treatment of different siding for interest, as the main structural wall simply continues up; it is only the exterior siding that changes. 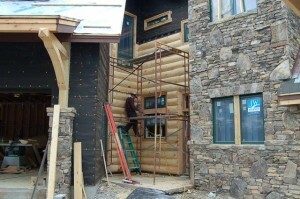 Here, you can start to see some of the rich rock and log detail coming through, on the Master Suite wing. This is the difference between having a focused licensed architect who specializes in custom home design and others. 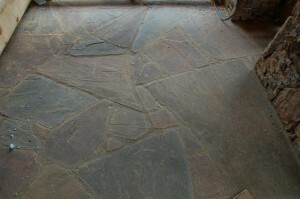 The flagstone front porches are now finished. The Loft with its curving sitting area is in the process of having its railings stained and finished. The contractor had an Old World craftsman from Hungary handle this curved area. This corner of the Master Suite provides a view of the interlaced genuine round log corners. The arched clear-story windows in the vaulted area of the Hearth Room were recently installed. Loft area, with one of the Architect’s classic timber frame trusses and curved sitting area to right, overlooking the Kitchen and View Dining below. Soon, double doors will be installed in the wall framing beyond, to the Bunkroom. Workers installing log siding and staining. Note Architect’s trademark timber frame bracing and bracketry at gable above. 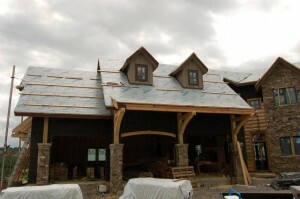 Porte-Cochere rough framing with round log beam timbers and round log posts. The majority of this log home is economically framed with prefabricated 1-1/2″ thick conventional trusses made in a standard truss plant. 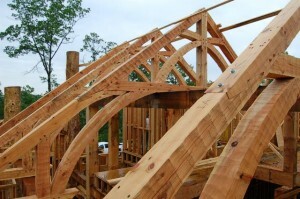 The timber trusses are mainly for appearance, which is why they are placed for effect and using white pine, resulting in a significant construction cost savings. Without these sorts of Value Engineering techniques, this home could easily have cost another $150/sf. Entry Porch round log posts and stone pedestals with stone steps between. An interesting construction perspective view of the garage with Family Room above to the left, Guest Suites in the stone tower area in the center, Foyer and Porte-Cochere to the right. 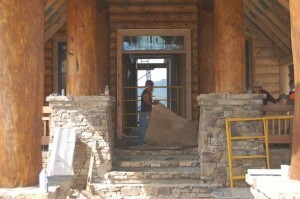 Log homes architect Soellner focuses on the entry sequences, insuring a rich experience of arrival. Detail photo of factory distressing of timbers, provided economically by specialized machinery from timber subcontractor. Here, the rich tapestry of log siding, upper random board and batten (a revived classic unique to the Log homes architect) and strong native stone tower begins to make its dramatic character known. The beauty of the Garage/Family Room wing and stone tower formed from interior window seats in the Guest Suites starts to become visible. Here is a genuine load-bearing structural log interior wall between the Master Suite and Hearth Room. 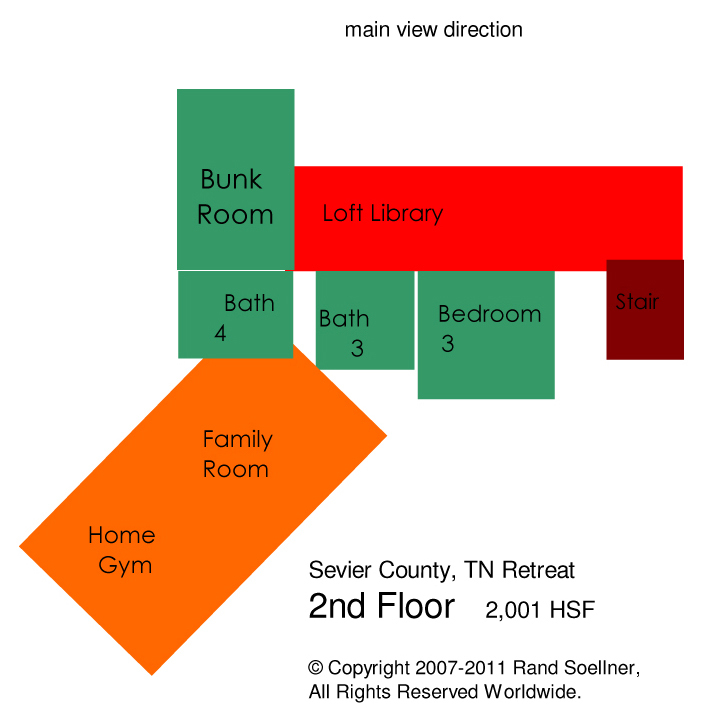 Click here to see more information about a mountain homes architect.